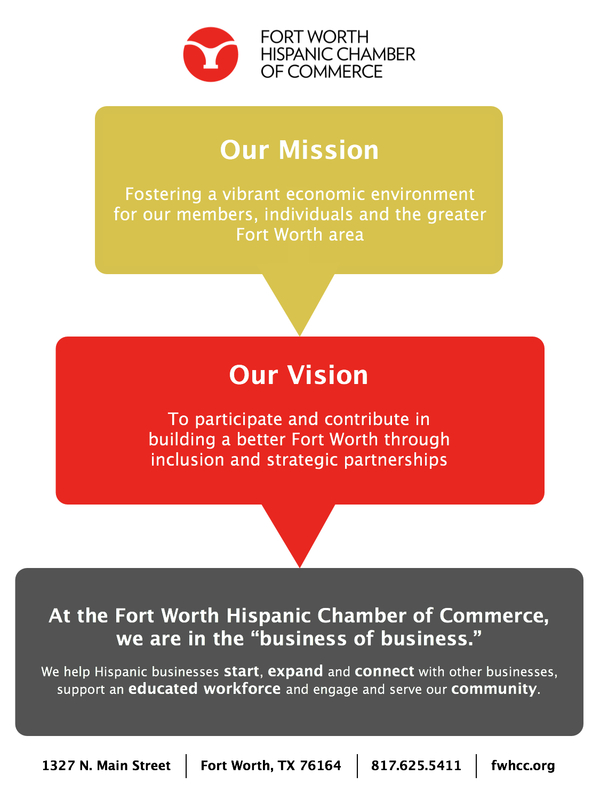 Come out for an after-hours mixer with fellow business leaders from the Fort Worth Metropolitan Black Chamber of Commerce, The Fort Worth Hispanic Chamber of Commerce, The Fort Worth Chamber of Commerce, US Pan Asian American Chamber of Commerce - Southwest and The Urban Inter-Tribal Center of Texas. 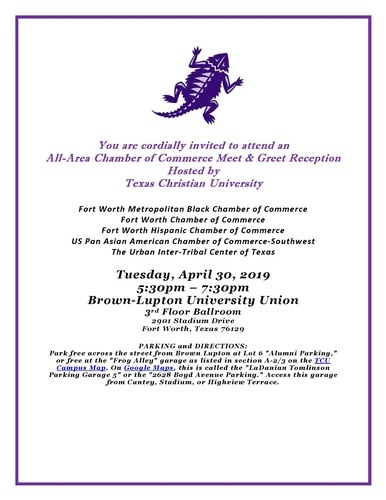 ​This event is hosted by TCU Community Outreach and will take place in the 3rd floor ballroom at the Brown Lupton University Union on the TCU Campus. Bring plenty of business cards, and come ready to meet fellow business leaders from across the area while you enjoy hors d'oeuvres and a hosted bar. ​Park free across the street from Brown Lupton at Lot 6 "Alumni Parking," or free at the "Frog Alley" garage as listed in section A-2/3 on the TCU Campus Map (http://www.maps.tcu.edu/pdf/campus_map_color.pdf). Access this garage from Cantey, Stadium, or Highview Terrace. From the southeast corner of the LaDanian Tomlinson parking garage, walk east to Stadium Drive, then go right on Stadium to head south. The Brown Lupton University Union will be on your left, just to the northeast of the stadium.